The best bath towel is an essential part of any luxury lifestyle and interior bathroom décor. There’s nothing like coming out of a relaxing bath or refreshing shower to a big luxe towel! It’s worth spending a bit more to get something that can cheer you up and make your everyday bath experience pleasant! 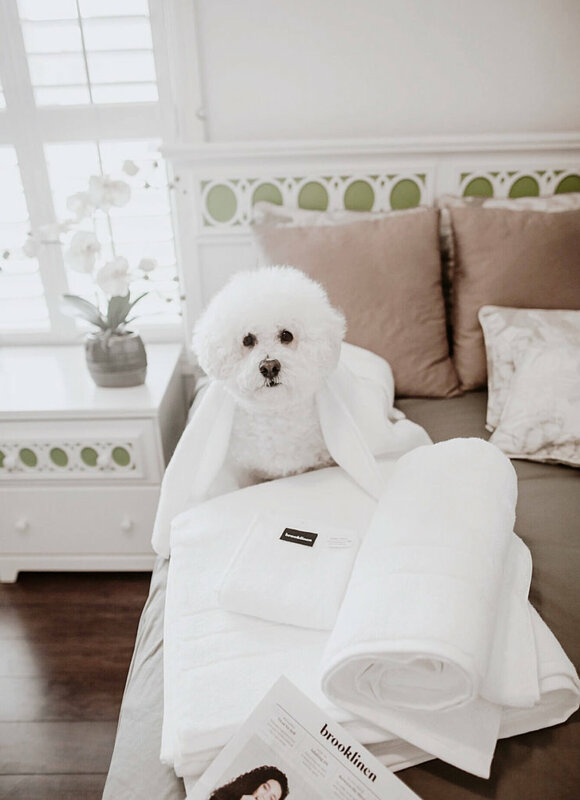 A decent towel can remodel a simple space with a pop of color or you can go all white and extra fluffy to create a spa-like atmosphere. But when it’s time to shop for your towels, you are faced with so many options, in a wide range of prices. It’s hard to choose the right one! So when our go-to bedding company, Brooklinen, is launching their towel line, I’m super excited. 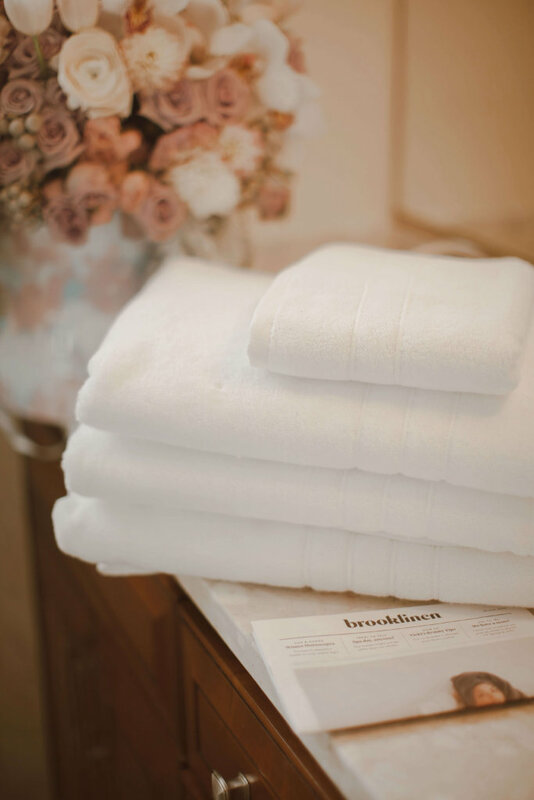 Brooklinen linen bedding has transformed my sleeping experience (check out my review of Brooklinen Linen Bedsheet Bundle here) so when I heard about Brooklinen’s Super-Plush Towel collection, I didn’t hesitate to try. Brooklinen Super-Plush Towel Set was the softest and most comfortable plush towel I have ever tried. It feels luxe and substantial, like a high-quality hotel towel. It comes in a wide range of neutral colors—white, light brown putty, light gray smoke, and dark gray graphite. The collection features 2 extra large bath sheets (slightly larger than your average bath towel), 2 standard-sized bath towels, 2 hand towels, 2 washcloths, and 1 bath mat. Basically, they have everything that you need to give your bathroom a complete makeover. The extra large bath sheet is perfect for enveloping your entire body and treating yourself to an at-home spa. If a plush, luxurious towel is what you want, this is a great one. Brooklinen‘s Premium Plush towels are made from 100 percent combed Turkish cotton. Turkish cotton bath towels have grown in popularity in recent years. Turkish cotton has naturally longer fibers compared to another cotton. This particular kind of cotton is extremely soft, but also extremely absorbent. They’re made to help you get dry faster! Many skin experts have confirmed that soft fabric fibers like cotton are great for reducing harmful friction on the skin which means these cotton options are pretty fantastic for keeping your hair and skin less irritated. When it comes to hair and skin care, the softness of these towels is the best choice! The higher weight of these towels means they are super absorbent. Towel weights actually measure the density of the cloth used in grams per square meter (GSM). The thinner towels weigh in between 300-400 GSM while those with numbers between 600 and 900 are the thicker, more luxurious feeling towels. Lower weights will dry quicker while towels at the higher end are more absorbent and thicker. At 820 grams of Turkish cotton, Brooklinen towels are noticeably thicker and plushier than your average towel. It’s really an upgrade for my bathroom from a boring-one to a spa-like oasis. Broolinen towels also remain in good quality for a long time, even after throwing them in the laundry. With each wash it felt fuller and plusher. Most towels will become threadbare after countless washings, but Turkish towels actually improve with age. They get fluffier and softer with each washing! And to make sure they last, Brooklinen towels are woven with a Z-twist (as opposed to an S-twist) to increase their life expectancy. A good bath towel is worth a bit of indulgence — after all, you work hard, and you deserve to feel like you’re in a spa every time you take a shower. Whether you’re just retiring the scratchy and washed-out towels of the past or you’re furnishing your new bathroom, these plush towels are guaranteed to keep you happy. The best luxury towel may appear expensive to you but they will last longer for many years and will not lose its real shape or get faded even after many washes. A cheaply priced towel will get faded so quickly with the multiple washes and would look so much ugly and worn out that you will have to buy a new one very often. 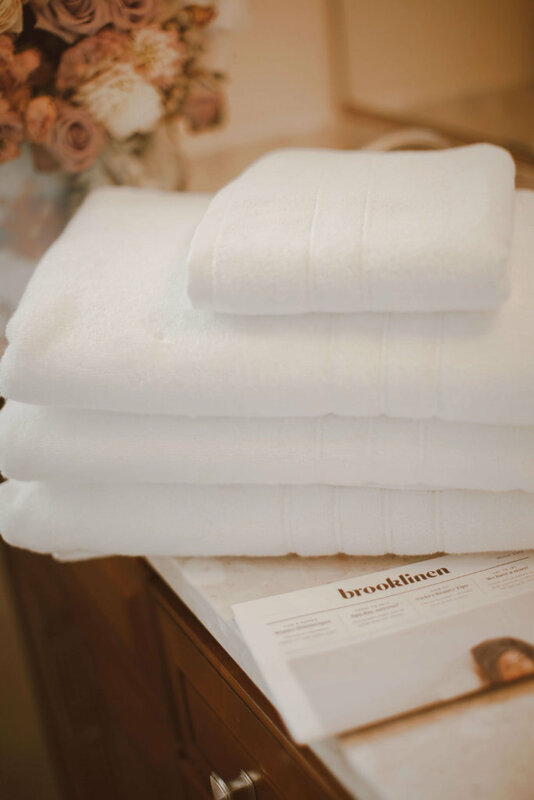 Brooklinen towels seem high priced but they can last for many years, remain soft and fluffier even after many washes and do not get faded. They are certainly worth saving for! There are plenty of options to choose, but one thing is certain: this will be the heaviest and plushest towel you have ever used outside of a fancy hotel! 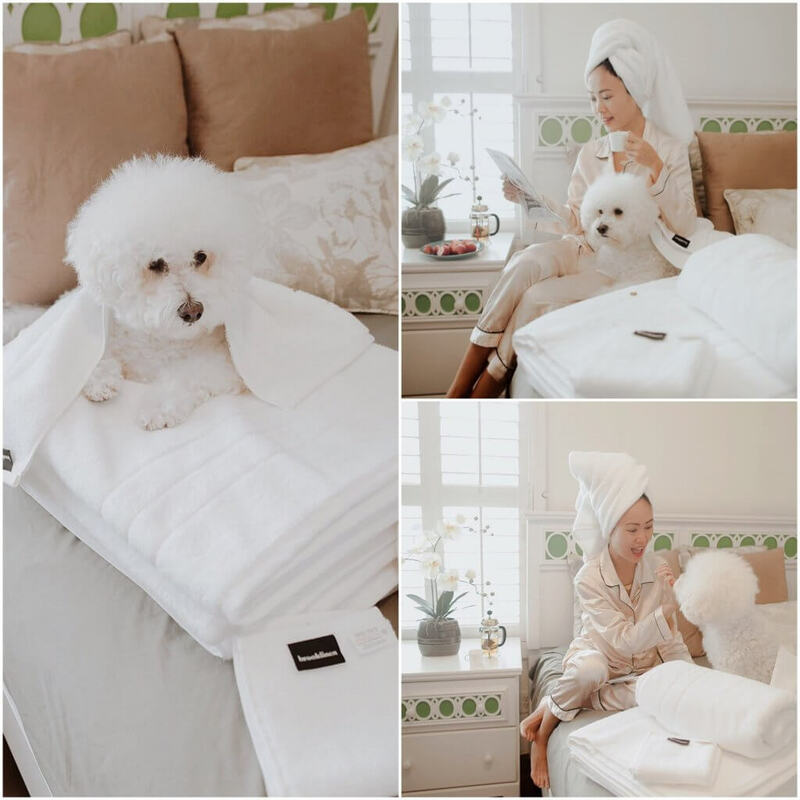 If you are looking for that spa-like luxury experience in the comfort of your own home Brooklinen is the answer. If you have ever had the displeasure of toweling off with a material only slightly better than the texture of cardboard, you will understand the importance of a good towel. Bathing is a relaxing experience which can turn into a trouble with the low quality and cheap bath towel. So head over to brooklinen.com to see what all the fuss is about and order your own set. Complete your bath or shower experience with a fluffy new set of towels that rival any top-notch spa’s collection. I can honestly say that they’re absolutely worth it. I guarantee that getting out of the shower will simply never be the same again. Use my exclusive code “hanh20” for $20 off + free shipping on your order with Brooklinen. **Thank you to Brooklinen for kindly sponsoring this post. All opinions are 100% honest & completely my own.